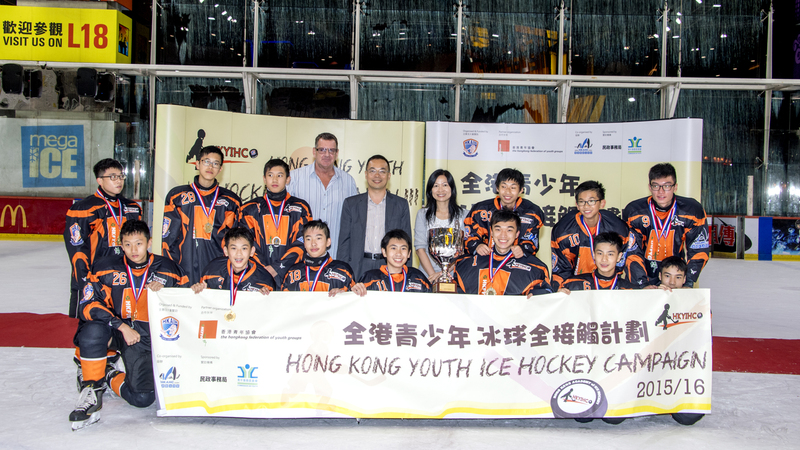 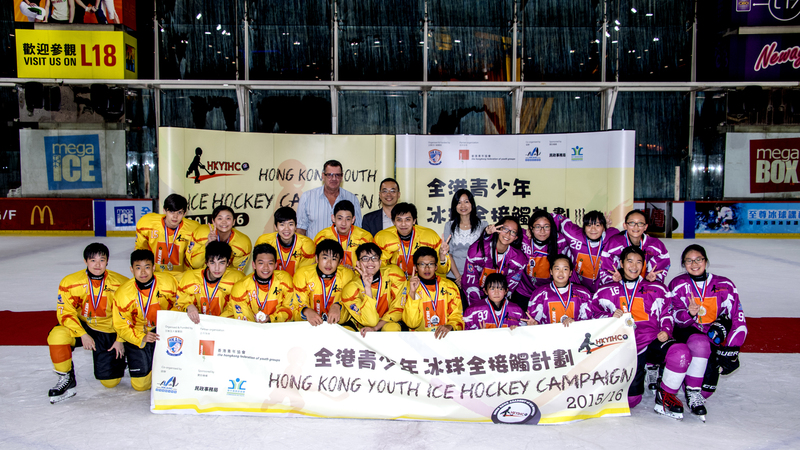 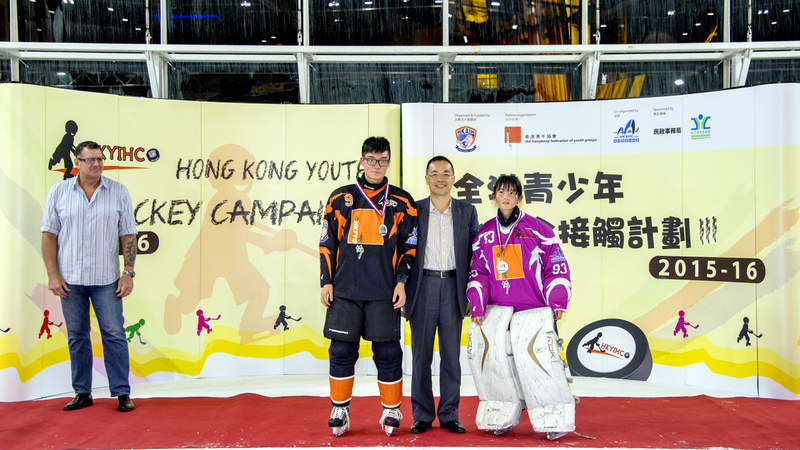 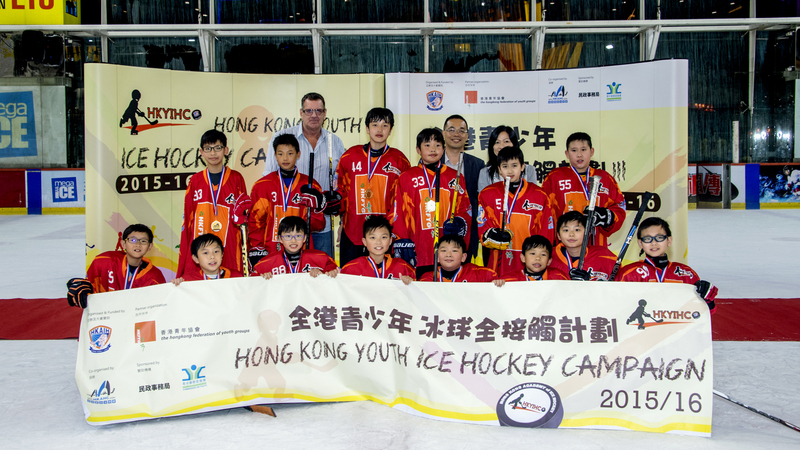 Organized by the Hong Kong Academy of Ice Hockey (HKAIH), in partnership with the Hong Kong Federation of Youth Groups (HKFYG), the HKFYG Cup Championship games of the Hong Kong Youth Ice Hockey Campaign III (HKYIHC III) was successfully held on July 5, U12 Division A & B and U18 Championship games were played that evening. 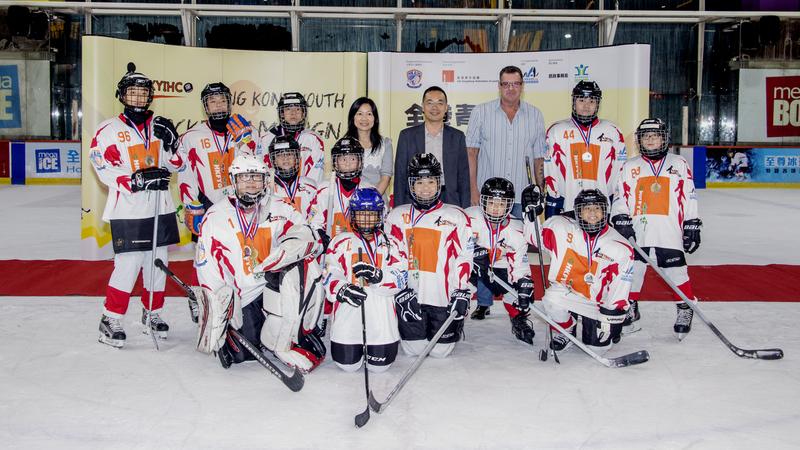 Hong Kong Academy of Ice Hockey (HKAIH) General Manager (Coach) Mr. Barry Beck, Hong Kong Federation of Youth Groups (HKFYG) Deputy Executive Director Mr. Andy Ho Wing Cheong, HKFYG Supervisor Ms. Fanny Yu Yim Fong, and team captains Percy Lau (Eternity) and Jimmy Mo (Demons Phoenixes) gathered for the drop puck ceremony before the U18 Championship game. 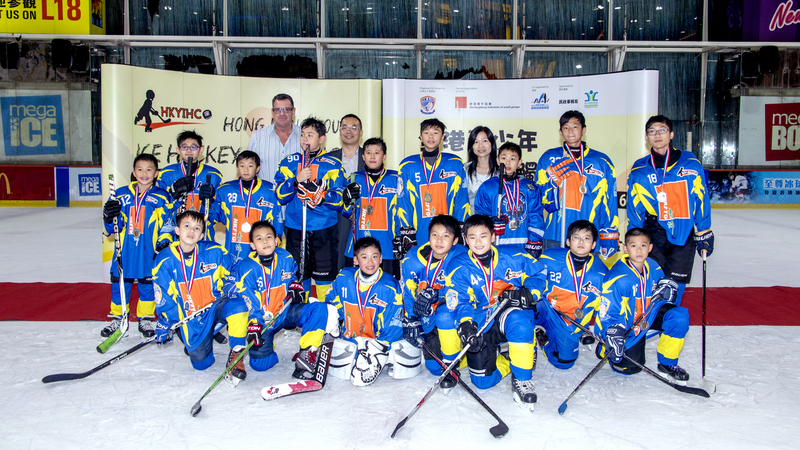 U12 Champion games were both very close games with the Champion team winning by just one goal. 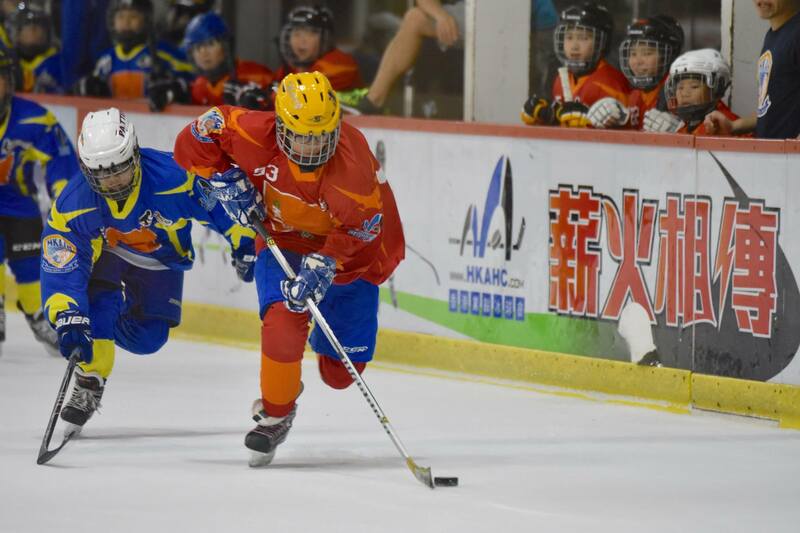 It was a tough game for the Demons Phoenixes in the U18 game as their opponent Eternity is a very strong team. 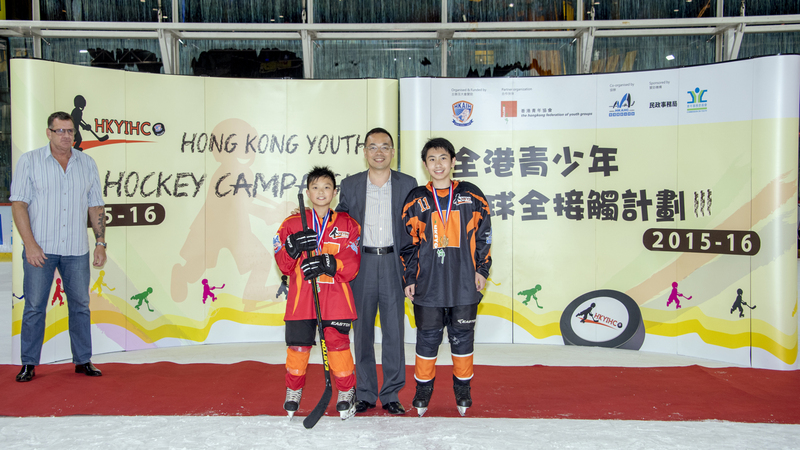 It was a great night of hockey for all players and guests. 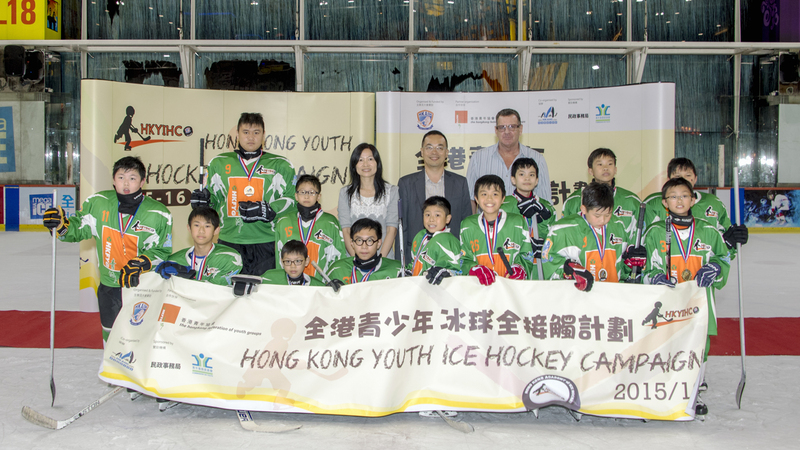 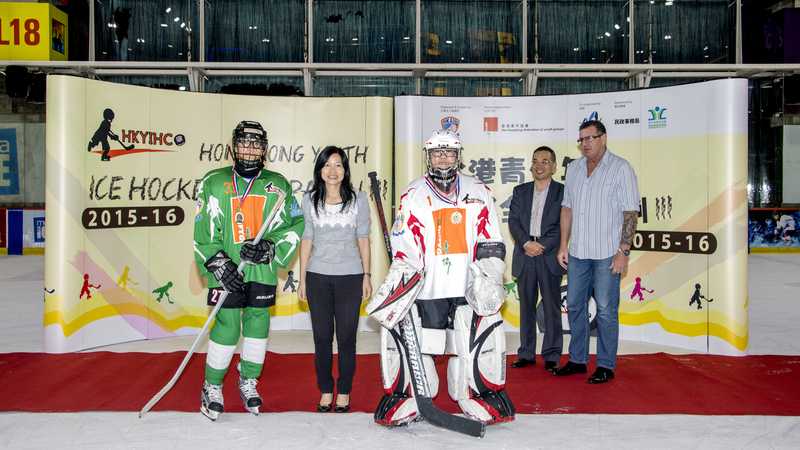 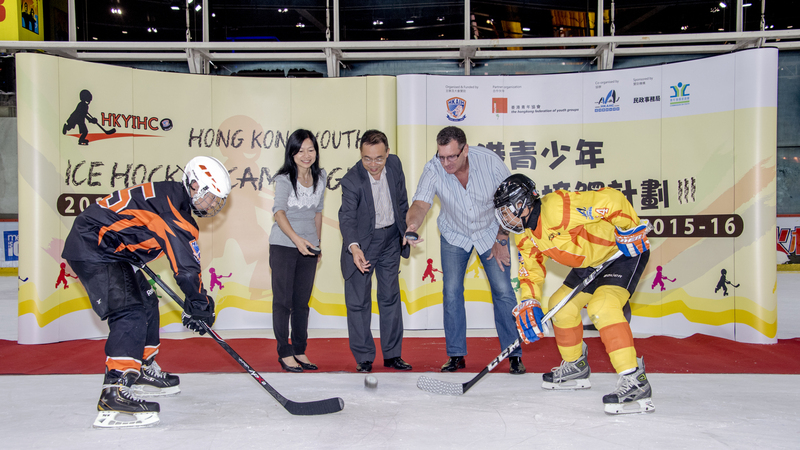 Building on the success of HKYIHC I & II, HKYIHC III will further promote the sport of ice hockey to the local communities in Hong Kong. 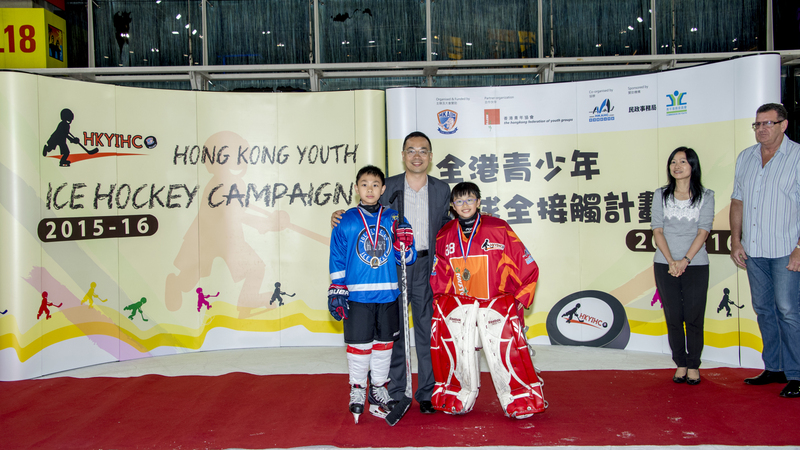 The 12-month campaign started in August 2015, and up to 129 players (aged 8 to 18) were selected to form 7 teams of beginner and intermediate players. 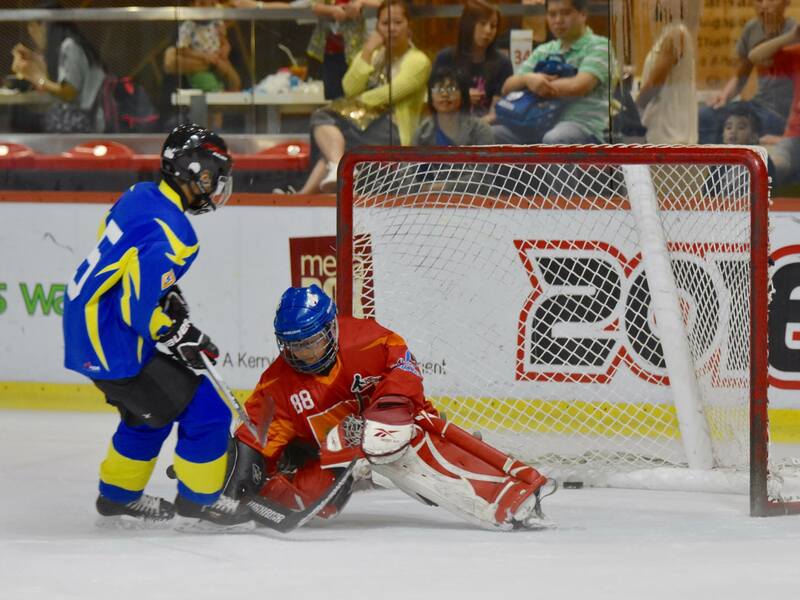 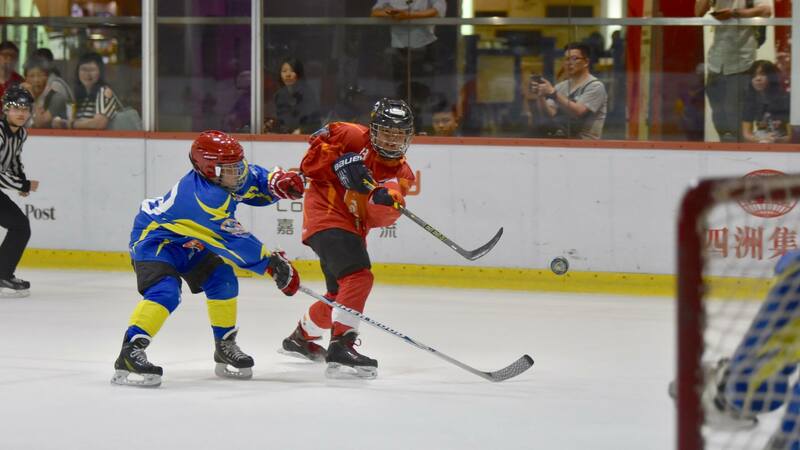 The teams will receive the opportunity to participate in the FYG cup at the end of the season and may be the future players to participate in international ice hockey tournaments. 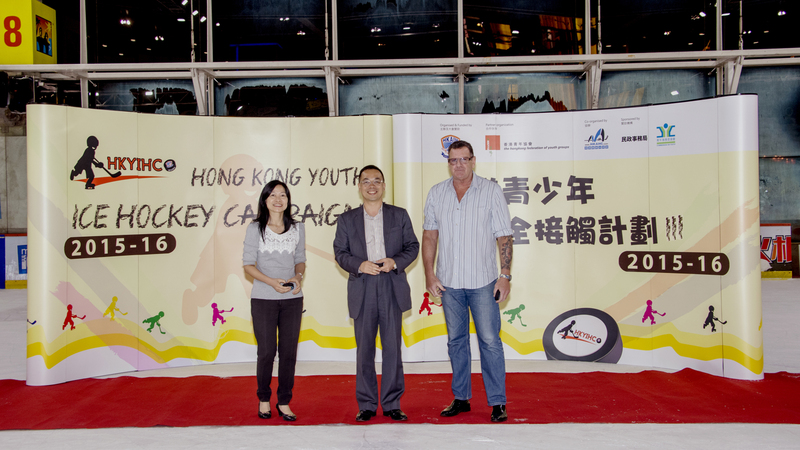 The campaign is supported by the Home Affairs Bureau and Commission on Youth through the “2015 Large-scale Youth Programme Funding Scheme”.